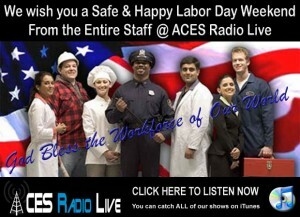 This week on ACES Radio Live we’re going to be talking about the importance of Labor Day and what it means to the Home Based Business Industry. You can also call (347) 843-4270 if you have questions regarding this show. Labor Day: How it Came About; What it Means from the US Department of Labor website. 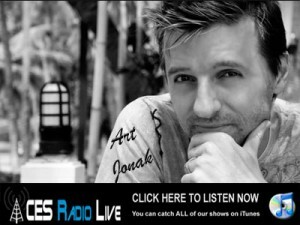 This week on ACES Radio Live our guest is going to be Art Jonak. Art Jonak, is one possibly of the best dressed men in the world. He is an international traveler, a husband, father, son and one of the most widely recognized figures the world over within the Network Marketing industry. Art is also one of the top rated Home Based Business figures in the Social Media arena today. Art can be found on twitter, facebook, YouTube, flickr, LinkedIn, Klout, EmpireAvenue and a host of other social media sites. Mike Magolnick is a recognized marketing and sales executive with twenty years of proven leadership. Mike is a social media pioneer and is among the most connected people in the world with a personal reach of more than twenty-five million people including business and political leaders, celebrities, authors and more. The blog at Magolnick.com hosts an average of 10,000 people every day. Mike has personally worked with dozens of companies on strategic planning for social infrastructure and growth. He also speaks at conferences and business events as well as hosting group calls and webinars training thousands of people on Social Media and advanced marketing strategies. 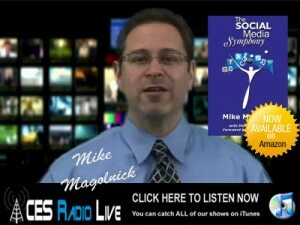 Mike has been a recognized expert in the Internet industry having been interviewed and/or appearing in print in the Wall Street Journal, the New York Times, American Venture Magazine, Direct Selling News, Entrepreneur Magazine, eCommerce Times, The American Business Journal and several other national publications. Mike is a member of American Mensa, he has a Ph.D. in Organizational Science and Marketing and he received a degree in Corporate Governance from Tulane Law School. We are honored to have Mike as our guest this week on the show. To learn more about any of our fantastic guests please feel free to contact Troy or myself directly. Remember, success is a choice—here’s to yours. This week on ACES Radio Live our guests are going to be Kimber King & Jodi Stott from Real WAHMs Radio. Jodi and Kimber met each other briefly in 2003 through a company that they had each partnered with in 2002-2003. Anyway, the truth was that their future connection was going to be one that would change and impact both of their lives and they were in store for a great journey together that God had planned for them! 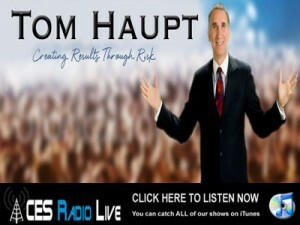 This week on ACES Radio Live our guest is going to be our friend Tom Haupt who is the author of Time Out! Winning strategies for playing a bigger game in life. For over 28 years, Tom has been training, mentoring and teaching people to overcome self-limiting beliefs to achieve amazing results in their personal and professional life. As a keynote speaker and trainer facilitating transformational leadership seminars, his passionate, heartfelt trainings throughout the world have inspired and empowered thousands in 6 countries and over 126 cities to create the life of their dreams. Winners Take Responsibility˜Whiners Play the Victim - Which one are You? Living an Epic Adventure - Because Life is too Short to Waste on Dull Disillusioned Crybabies.